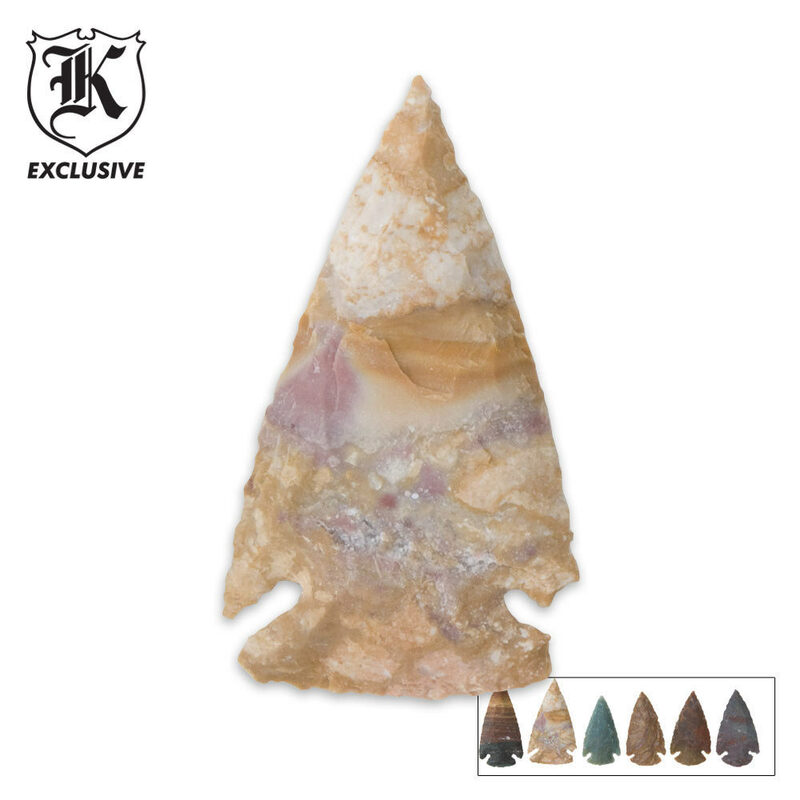 This item consists of 6 arrowheads from 2" to 2 1/2" in length varying in color. Nice arrowheads for a great price. 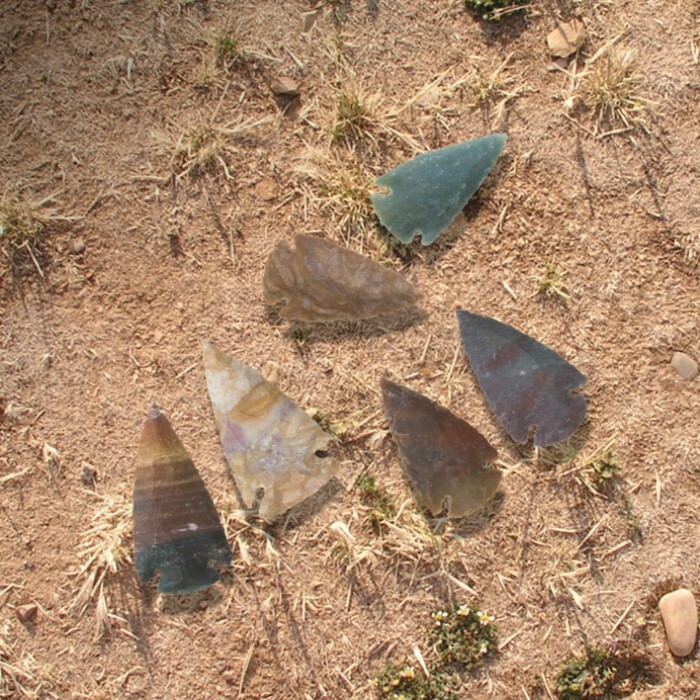 These arrowheads are very nicely made, much better than others I have seen. The Agate arrow heads are really nice. I would recommend these to anyone. These are nice arrowheads for the price. They make a nice primitive arrow combined with a port ordford ceader arrow. Great Arrowheads, I will order more of these!!!!!!!!! !